Purchase our Magnetic Football Car Magnets. 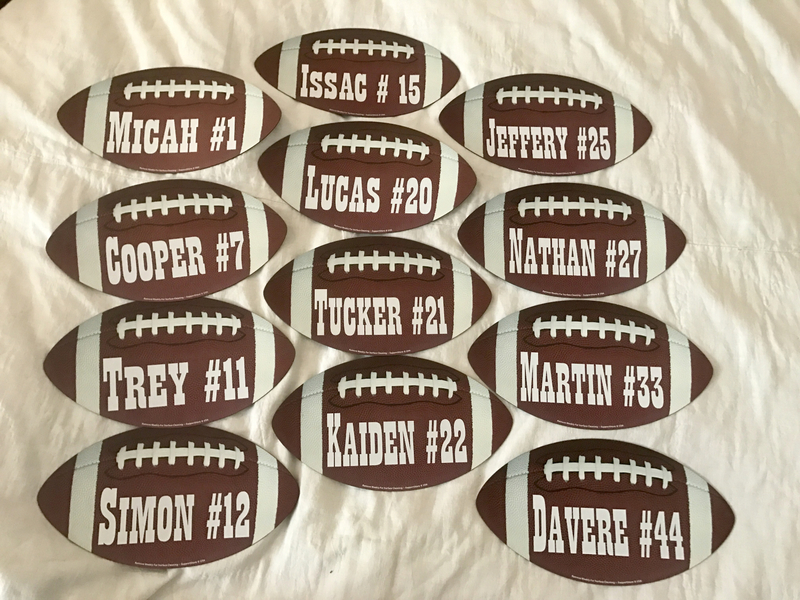 We can make Custom Football Car Magnets for your team or school. This 3 7/8" by 7” realistic 3D look magnetic Football is manufactured and printed in the USA. We print on premium quality, super-thick (.030) magnetic material with top quality, UV protected inks. Be sure to remove, clean and reposition your magnet weekly. These magnets are even better than in the pictures!! Super fast shipping !! Merchant Response:Thank you for the review and the picture. We love to see how our customers use and personalize our products!